Waves of women strolled out of Macy’s in San Francisco's Union Square this Sunday with hair and makeup freshly done, tote bags full of hygiene products, new fitted bras, and with an extra sense of confidence. Simply the Basics’ founder and CEO, Meghan Freebeck, organized a Women’s Empowerment Day event that served over forty survivors of domestic abuse and women experiencing homelessness. 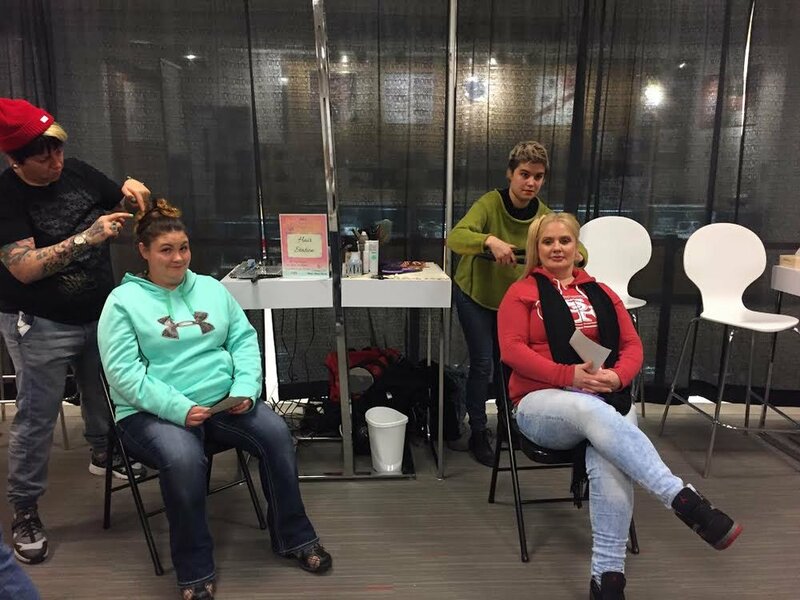 Participants received shoulder massages, facials, hair and makeup services, as well as bra fittings, headshots, and assistance with setting up online profiles. From the moment participants walked in, a true spa experience began. Everyone was warmly greeted by volunteers who helped them find the first station of their choice. Macy’s cosmetologists expertly applied makeup and offered facials with a gentle face massage. ThirdLove staff fitted ladies with ultra-comfortable new bras, which they had generously donated for the occasion. Tender Cuts stylists lent experienced hands to straighten, curl, and arrange our lovely participants’ hair. A professional massage therapist worked tirelessly all afternoon to knead out kinks and provide some well-deserved pampering. Participants took their fresh looks over to the clothing closet and donned a designer blazer from Macy’s and a silky scarf courtesy of Simply the Basics. Our glowing ladies then got their headshots taken , which could be used in the moment to create online profiles with the help of our lovely tech-savvy volunteers. Bare Snacks and Macy’s provided wraps, fruit, chips, and madeleines for participants, volunteers, and organizers. Simply the Basics was true to their values with every step of the way. For example, prior to Sunday, roundtrip bus passes were provided to all participants and a bag/coat check was offered to everyone upon entry. All of this was made possible by our wonderful volunteers and by the generous donations of time, people, and products from Macy’s, ThirdLove, Tender Cuts, Bare Snacks, and personal donations made by Simply the Basics' Board of Directors. Participants and volunteers alike left feeling beautiful and empowered! You can see the day in action with this brief video! Newer PostWomen's Action Planning Forum - Success!